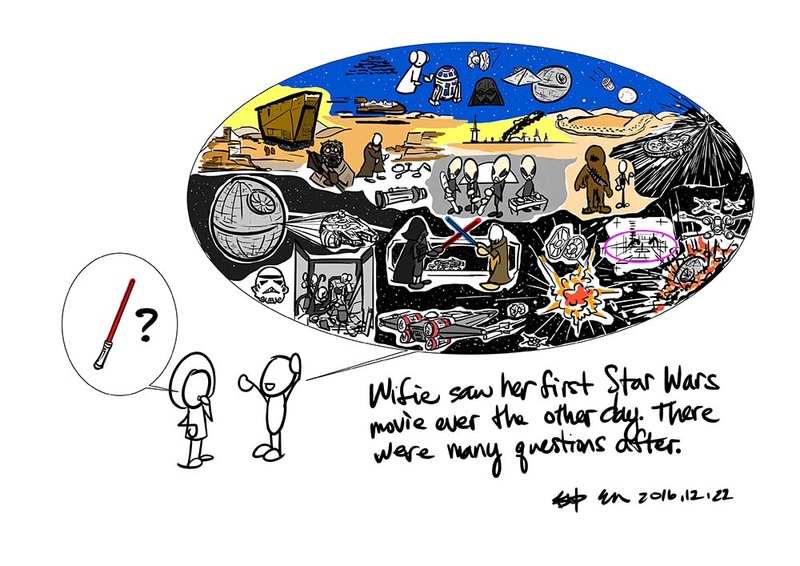 Wifie saw her first Star Wars movie ever the other day. There were many questions after. 前天老婆看了她第一部星際大戰的電影. 看完了她有很多問題要問.